Laura has been a trusted, established local lending professional here in the Napa Valley for 23 years. She has received numerous honors and awards throughout her career for performance and outstanding customer service. Laura is a Napa native, attended Napa schools and graduated from California State University in Chico, CA. Laura knows the Napa community and is an active part of it. She is the Mother to two young daughters and is an active parent in their school and sports communities. 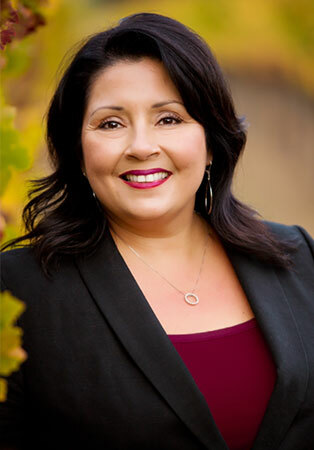 Laura is also a member of the Latino Leaders group in Napa and the Napa Chapter of the North Bay Association of Realtors. She is a founding member of Food is their Future and advocates for improving food quality served to children in Napa schools. Laura is a devoted fan of the San Francisco Giants baseball team and attends as many games as possible. Working at Del Sur Mortgage, as a home financial expert, Laura always puts her clients interest first. She is particularly experienced in structuring loans for first-time buyers, investors, vacation home buyers and Napa Valley luxury home buyers. Helping others obtain and maintain Home ownership is Laura’s professional passion.